Do you have a hard time getting to the gym? Sometimes working out at home is the best way to fit exercise into our busy lives. 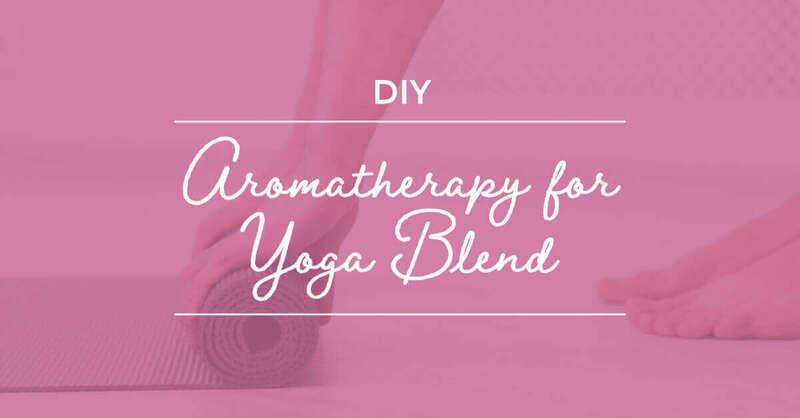 So the next time you roll out your yoga mat on your living room floor, add this Aromatherapy for Yoga Blend to your diffuser to help enhance your practice. This blend includes Yuzu, a tart, citrusy essential oil, to help create a refreshing atmosphere that reduces tension. It also uses Frankincense Serrata, an oil that is prized for meditative and mind clearing properties. Finally, this blend includes the Kumquat and Coriander Seed to create a grounding, meditative blend. 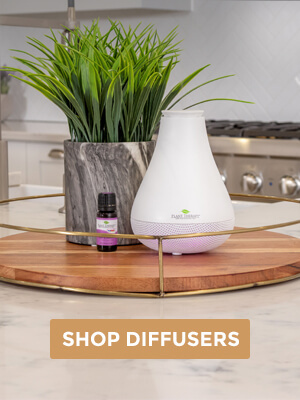 Add essential oils to your Aromatherapy Diffuser and use for an uplifting and mind-clearing workout blend. I just started yoga. I need to buy all of these oils to make this blend. It sounds like its perfect for yoga! Plant therapy you guys are genius’s! I usually use lavender when doing Yoga, I love frankincense, I would use tangerine as a substitute for Yuzu but what could I use for Kumquqt! I’ve never even heard of some of those oils! But having just started a home yoga practice, I might have to check them out. I dont do a lot of yoga but I do meditate. I’m going to try this next time. Plant Therapy never ceases to amaze me. Thank you! 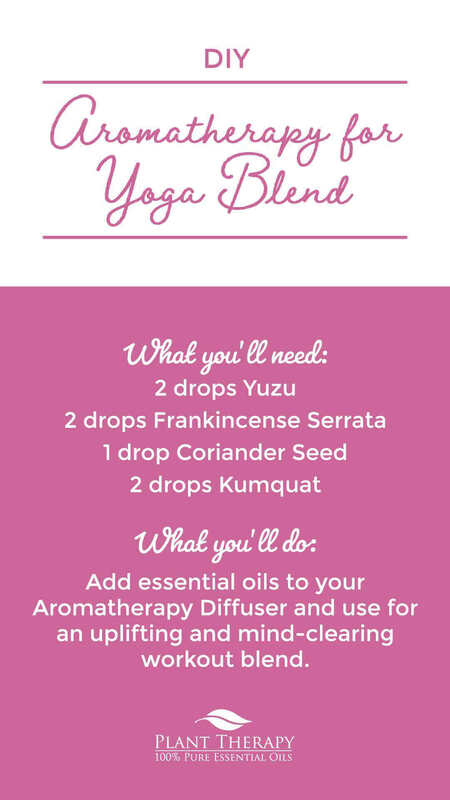 Never thought to diffuse while doing yoga, I will have to try this blend! Thanks so much! I tried this blend for Yoga yesterday; used this blend for my skin balm and applied it to my hands, neck and under my nose. It was awesome! I’m always looking for ideas for Coriander. I am so making this for my daughter. You guys sure come up with great ideas for your customers. I love frankincense and coriander together, but as I do not have yuzu I think I will substitute tangerine. I have many ‘grounding’ oils, so I still don’t have the need for kumquat. I may order it in one’s stead when I run out, but I’m on th fence as I do not want to have to send it back if it doesn’t work as well (or at all) when compared to a tried and true grounding oil. Maybe in the spring it will appeal to me more. Off to yoga land, thanks PT. I do like frankincense and coriander together, but I’ll have to sub a citrus for the yuzu…mmmm , tangerine sounds nice. I’ve yet to try kumquat as I have many ‘grounding’ oils. But perhaps I will order it in one’s stead next time I run out. Just don’t want to have to send it back if it doesn’t work when I can order something tested and true. Off to yoga land, thanks PT. This sounds amazing. I’ve never tried diffusing while doing yoga before, I’ll have to give this a try! This blend sounds lovely! I’m always looking for new synergies for yoga and meditation and I can’t wait to try this one. 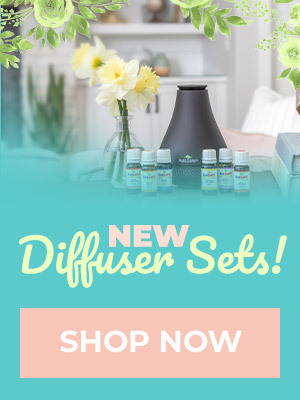 I love diffusing while I’m practicing yoga, but I have never considered any of these oils before. I may just have to pick up some Yuzu! I usually go to a yoga class so I can’t diffuse. Would this be good for a roller ball? I’m excited to add essential oils to my yoga routine! It sounds like a perfect addition. Thank you for this recipe! I have a few oils to add to my shopping list first but im definately going to give it a try. This sounds so nice. Looks like I need to get Yuzu! I love the idea of a yoga blend! Thanks for this, it sounds amazing. Thank you plant therapy!! I’m looking forward to giving this a try!! I do need lots of the oils but you have me a great start with the list!! Your definitely the best!! I just made this blend and it smells absolutely wonderful! Thank you so much for sharing this blend! This is perfect. My family just started doing a 30 day yoga challenge. We’re on day 4 and have been thinking of adding some oils to yoga hour. I only have Frankincense so the rest will be added to my wish list! 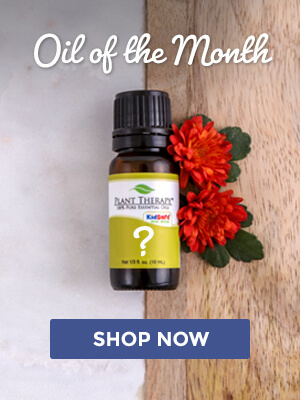 This is wonderful- I use Frankincense for any mediation- I take yoga regularly and is studying with a professional yoga once a week- I brought my oil in the class and she was truly amazed with it- yay! I’d love to get Kumquat- that is one of my wish list! I got so many on my list. Really want to add these oils to my list!!! I haven’t tried Yuzu or Kumquat!!!! Thanks for the blend! You’re so welcome! It’s always exciting to try out new oils. This article is very nice, thank you for sharing it! I can’t wait to try these blends. I love how you can add all the oils and print out the sheets. We’re so glad you love it! Oh this sounds amazing! Off to go add more oils to my list! This sounds fantastic, but the only oil I have of those is Frank. Does anyone have any substitution suggestions or maybe another blend with a similar purpose that has already been created?